One of the most famous backwaters in the world is the Kerala backwaters. This network of intertwined canals is fed by 38 rivers and forms a labyrinthine system running more than 900 kilometers which is almost half of the Kerala state. These famed backwaters is home to a number of aquatic life as well as flora species thriving on the banks of the canals. It is one of the main source of water used in irrigation of farmlands, source of income for fishermen, and is a means of transportation for many residents in the area. It was also considered by the National Geographic Travel as one of the ’50 Destinations of a Lifetime’. 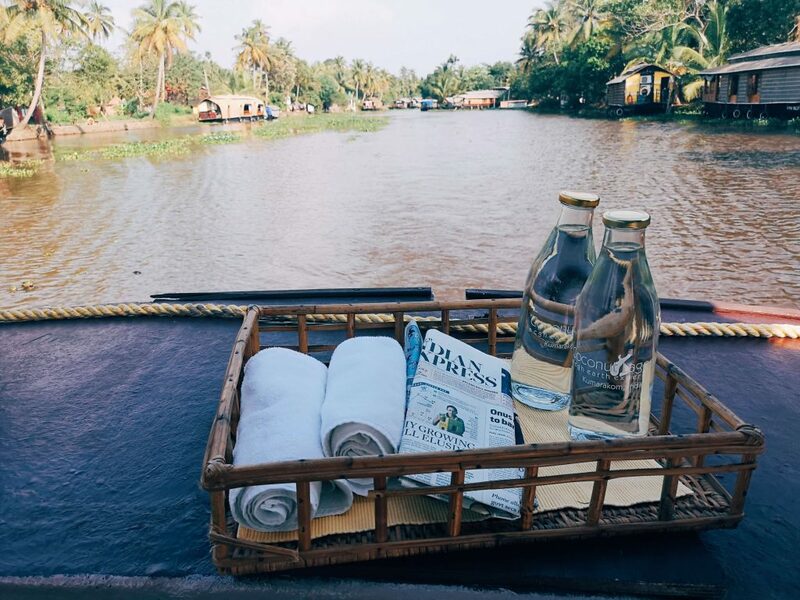 The Kerala Backwaters are likened to the American Bayou and even the Grand Canals of Venice. However, the attention it got led to an unexpected problem. 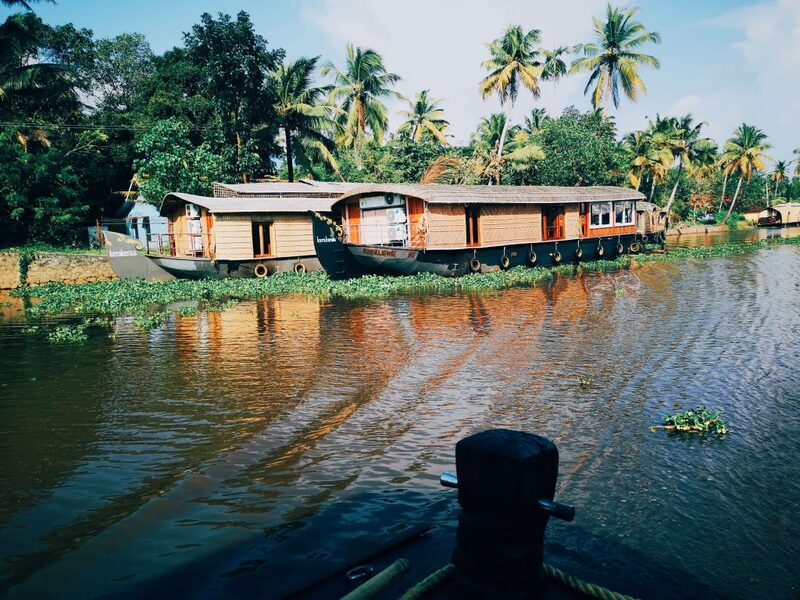 The backwaters have become a huge hit for tourists. 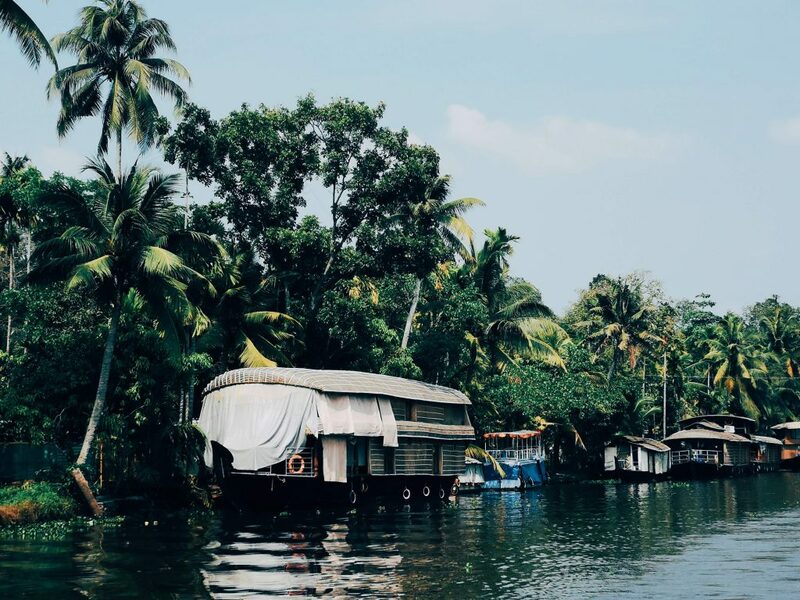 The supposed to be calm and serene backwaters became packed with rows of motorized houseboats and became a concern for the adverse effects of pollution from their diesel engines. To address this growing problem, the Kerala Tourism Board designated areas such as Kumarukom as target areas to implement responsible tourism. 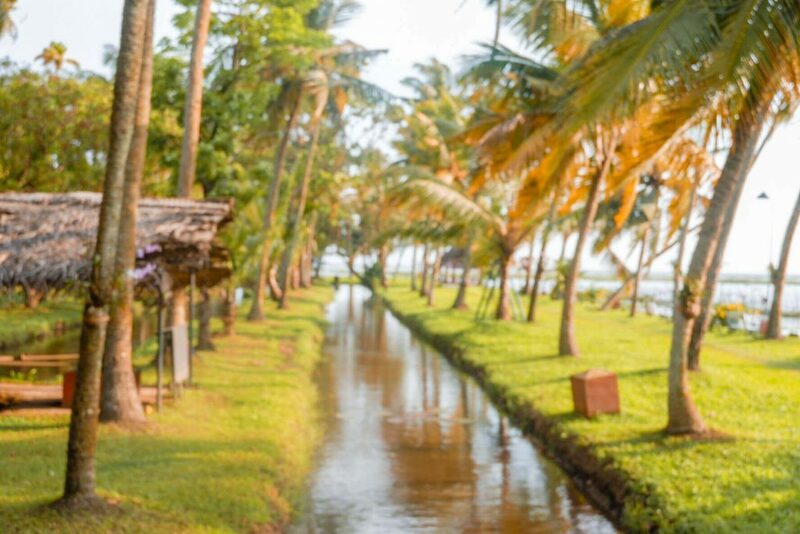 This policy was intended to lessen the pollution in the backwaters, provide benefits for locals by procuring products from them or directly employing them in resorts, and prevent the displacements of locals due to the rising conversion of lands into resorts. One of the pioneers of this policy was Coconut Lagoon in Kumarukom. 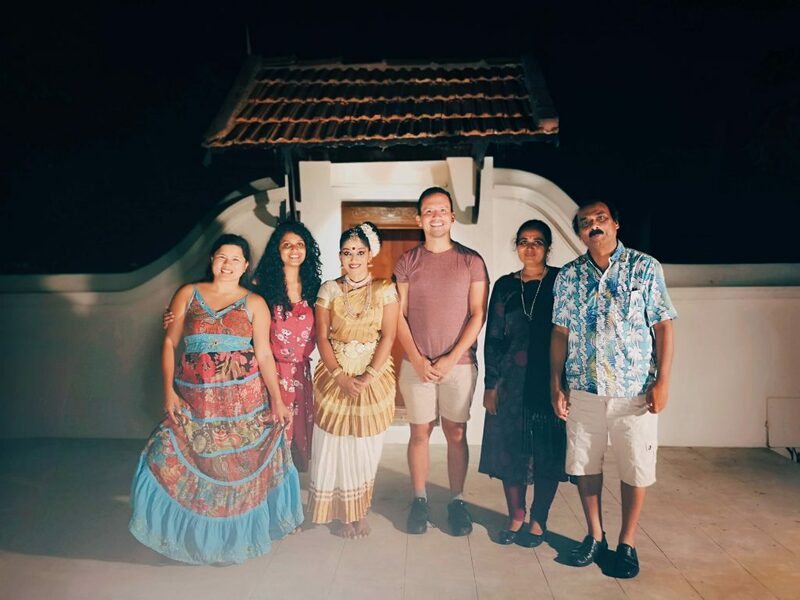 The last time I was in Kerala, I was given the chance to see the Coconut Lagoon Kerala for a day during the Kerala Blog Express last March 2018. It instantly became one of my favorite places, but one day was not enough to explore and appreciate the beauty of this place. That is why I was very excited when I learned that we are staying at the Coconut Lagoon for the KTM 2018. 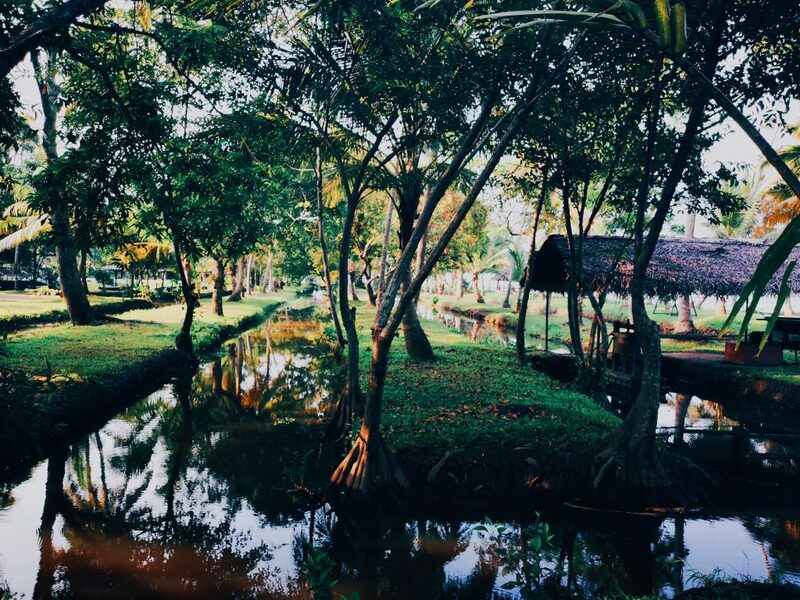 Coconut Lagoon is one of the CGH Earth properties just like the Brunton Boat Yard and Eighth Bastion in Fort Kochi. I had a lovely time there as well but what really sets the place from everybody else is the lovely setting. 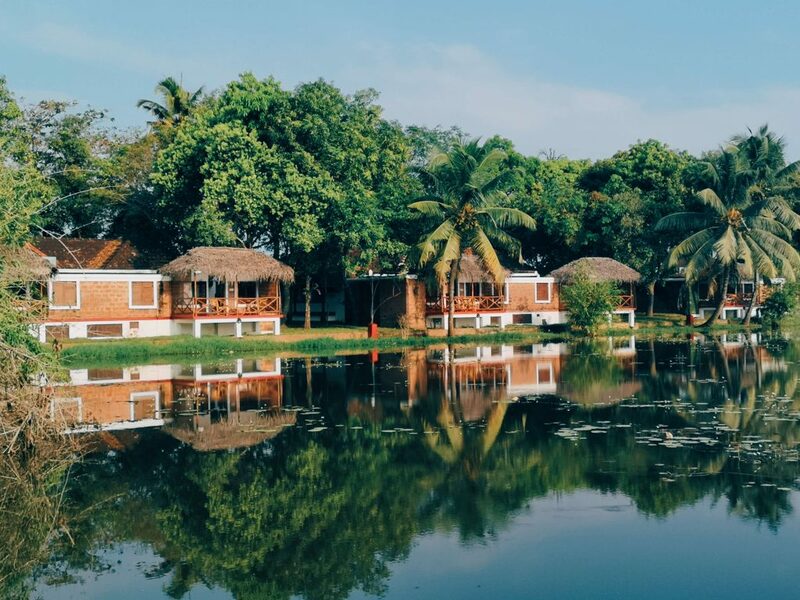 Situated along the banks of Lake Vembanad – the largest of the lakes that makes up the Kerala backwaters network – a luxury resort waits to be explored. True to its name, Coconut Lagoon, the whole resort is surrounded by water and you could only get in or out via boat ride. 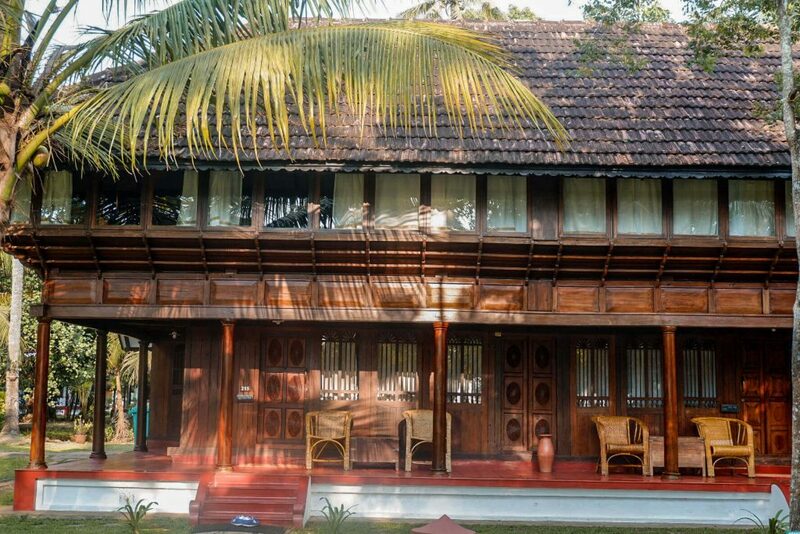 The villas and other structures in the resort are made from the remnants of ancient Keralan homes called ‘tharavads’ with each pillars and roofing transferred piece by piece to the resort. 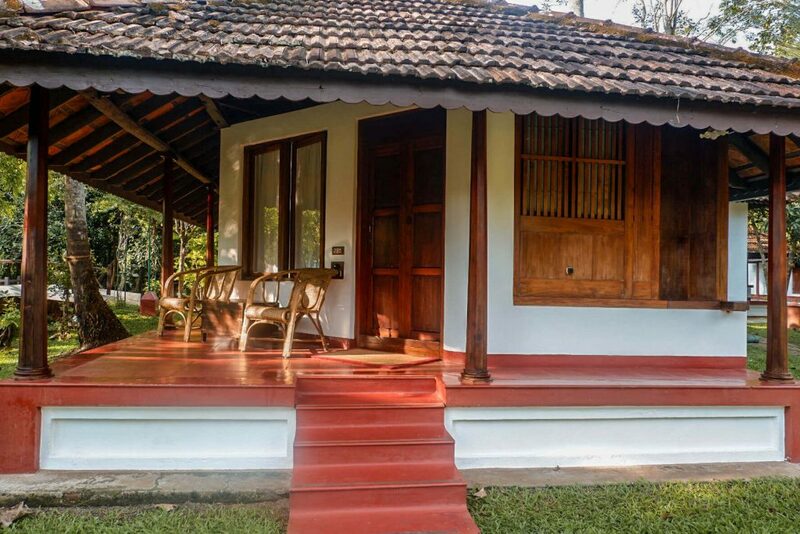 The rooms/villas are made to look like the ancient Keralan homes the materials used came from, in an effort to preserve the traditional architectural style that is slowly being forgotten. The interior is adorned with furniture, crafts, and pieces all made by local talented artists. Even the linens used in the beddings and curtains are not from the store but rather from local weavers. Some villas have a private swimming pool of their own. All the bathrooms are located outside so you can shower while admiring the blue sky and palm trees. The pool in the property overlooks the lake and gives an undeterred view of the sunset in the afternoon.
. They have 3 options for accommodations, the Lake front Villa with a Private Pool, the Heritage Bungalow, or the two-story Heritage Mansion. 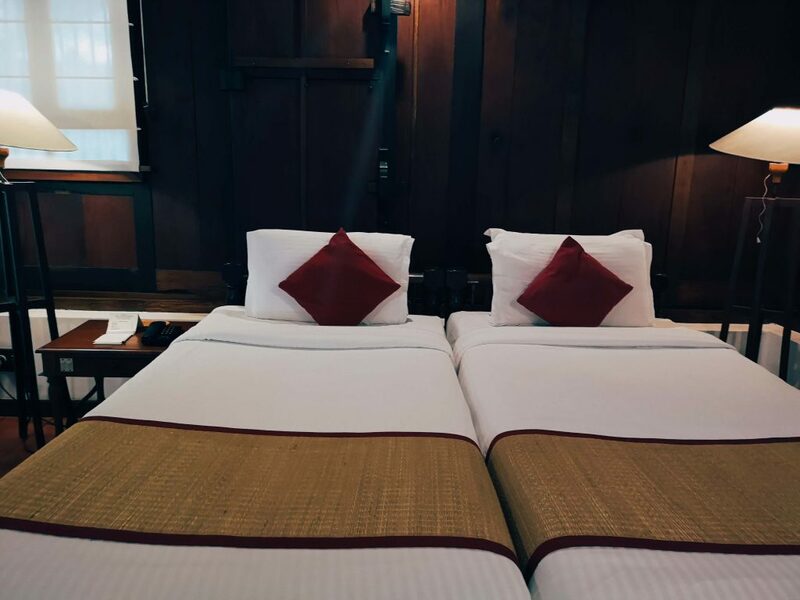 Coconut Lagoon boasts that no two rooms are alike, all their units are decorated differently from one another and have their own distinct characteristic. In the afternoon you can lounge by the poolside or outside your villa and watch the slow stream boats pass you by. You can also wait for the tea lady who comes by every day in her boat offering guests snacks and of course tea. She also parks her boat in the evening making it like a stationary café. They have an Ayurveda Center where you can relax with their range of herbal massage and therapies. Or you can join their yoga classes and work out at their gym and fitness center. They also have the Darter Club for those who want to explore nature and a trinket shop for your souvenir needs. They have 3 in-house restaurants for guests’ dining options. 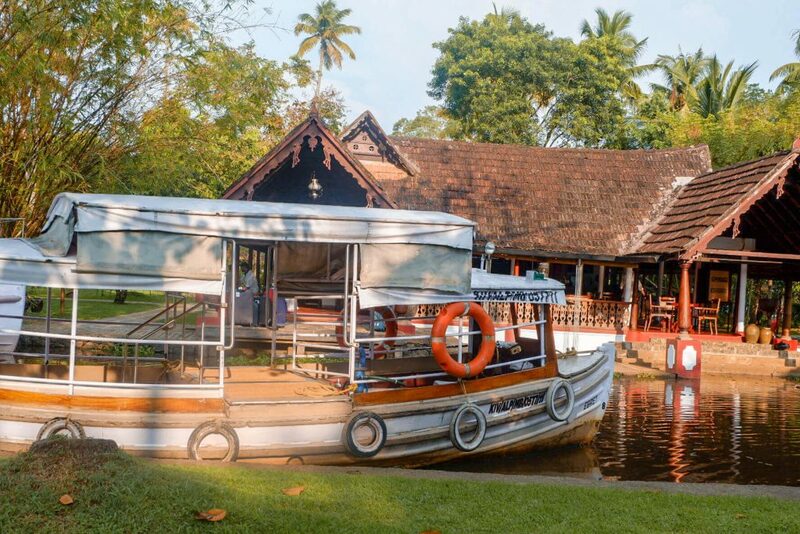 Aymanam, a lakeside restaurant serves dishes in a traditional Keralan way. They serve some of their food on a banana leaf, a practice inspired by the tradition of serving food on Keralan weddings. 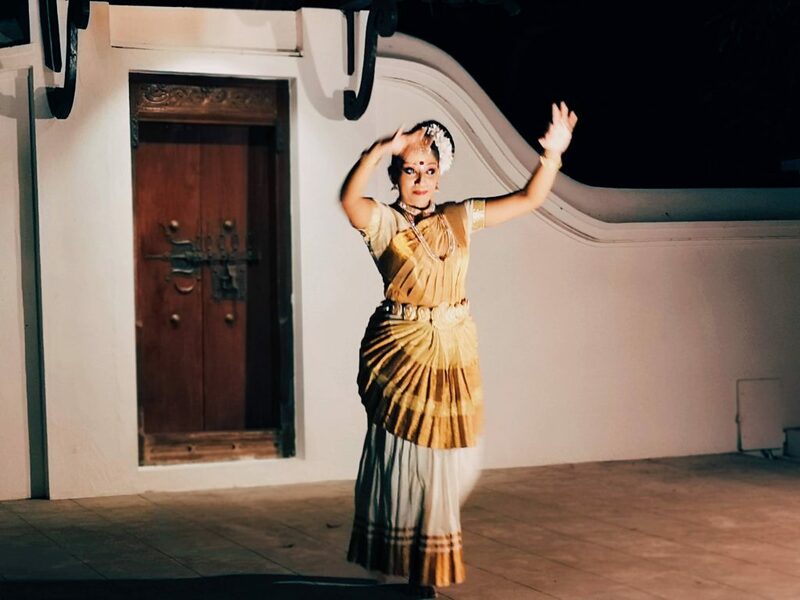 Their Kerala special flat bread or appam is something that never to be missed as well as their beef and duck dishes. 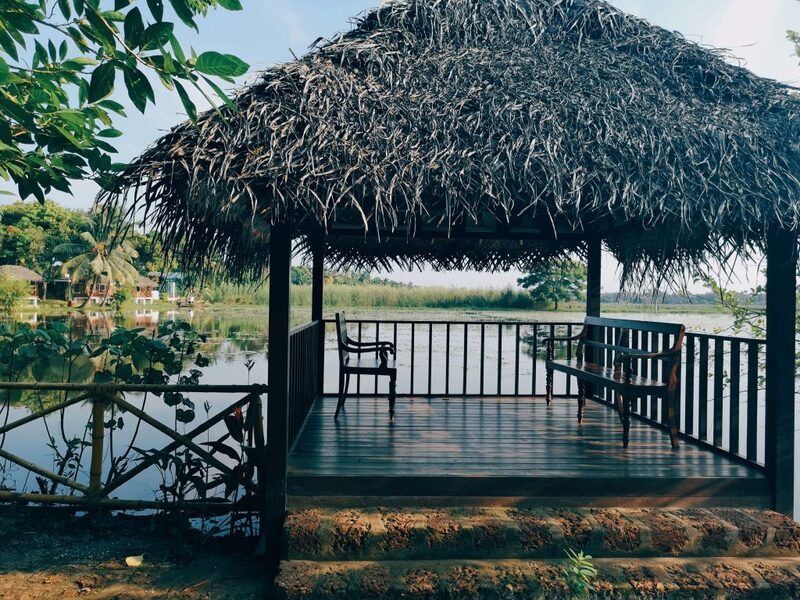 There is also Ettukettu and the Vembanad Grill where you can try Karimeen, one of their signature dish which is made from the rare Pearl Spot Fish of the Keralan Backwaters. 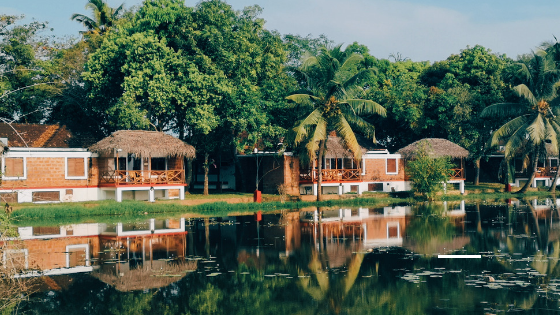 The Coconut Lagoon’s way of outsourcing local talents provides an opportunity for the villagers to earn a living instead of seeing resorts as threat to their own livelihoods. 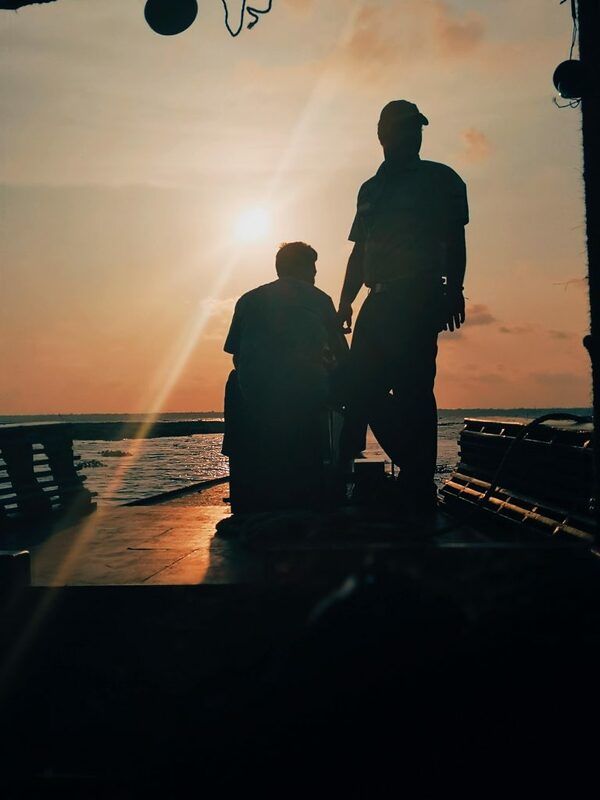 Coconut Lagoon also employs locals in the resort and buy produce or fish from local farmers and fishermen. This symbiotic relationship of the resort and the townsmen made it possible for the place to thrive and grow over the years. The only problem in the area is the lack of water filtration facility to provide potable water due to its remote location. Although a solution is said to be on the works, the place still relies on water bottles. But Coconut Lagoon is committed on its advocacy to maintain a sustainable, eco-friendly, and progressive resort. The water bottles are recycled into Christmas decors or transformed into usable materials. Other waste products, such as biodegradables are vermicomposted to turn into fertilizers or processed to make biogas used for cooking. 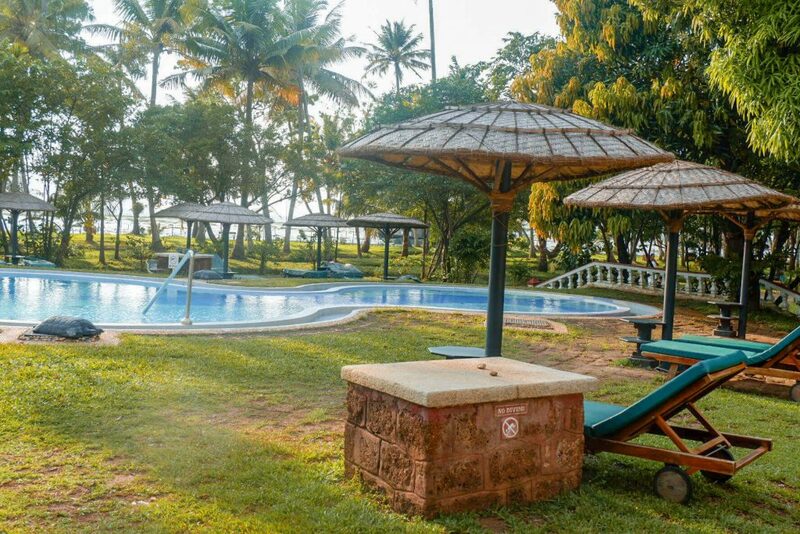 Overall, the Coconut Lagoon is the destination for everyone seeking peace of mind. The slow-pace of flowing water which mirrors the similarly slow pace of living in the area is an escape to the hustle and bustle of the outside world. Everything about the place just seem to be in their right places with their own purposes. 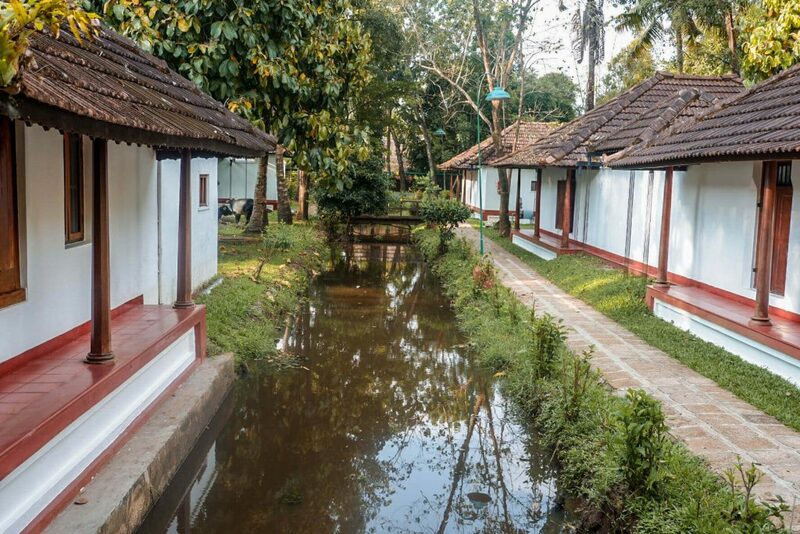 The serenity and tranquility of the resort as well as the historical vibe of adds up to the allure of the place. 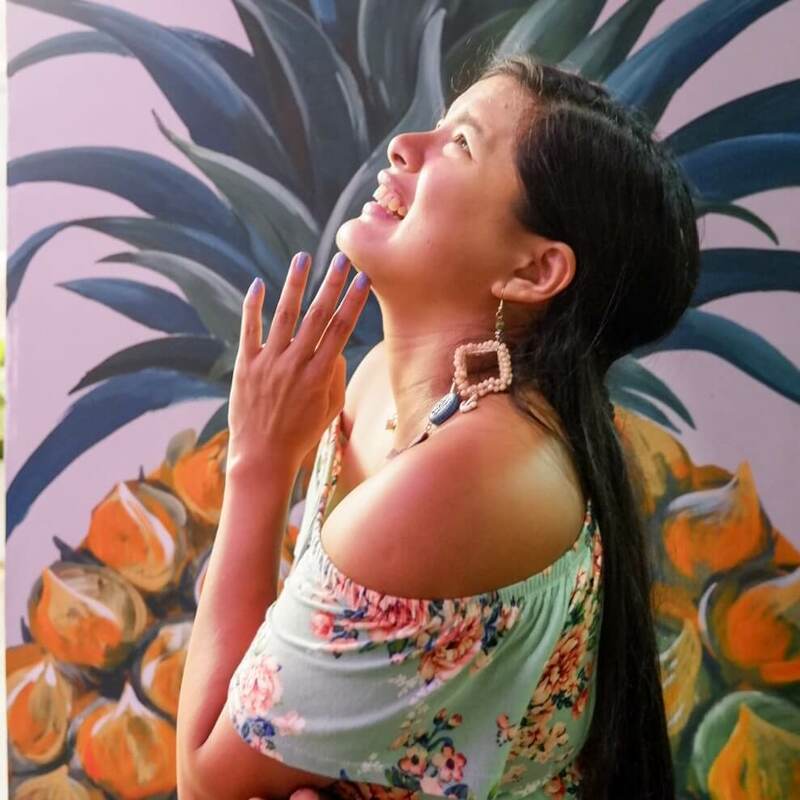 And knowing that by supporting resorts like the Coconut Lagoon, I get to take part in preserving centuries of tradition and culture as well as support the lives of locals, is enough to make the whole stay worth it.